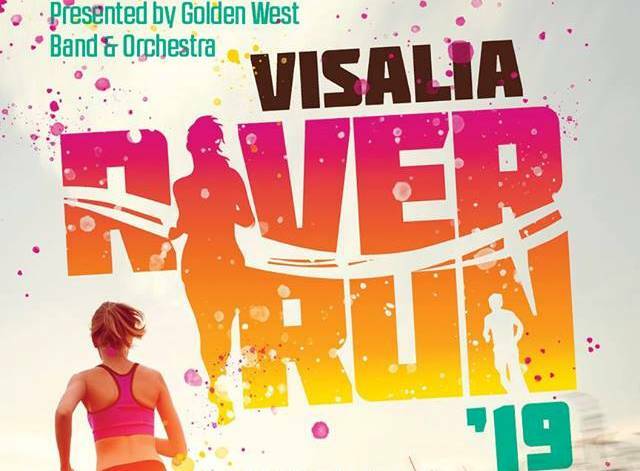 Run along the beautiful St. Johns River Trail in Visalia, CA. The race starts in the Golden West High School parking lot and runners spend nearly the entire race on the river trail. The 5k turnaround is at the gorgeous Cutler Park before finishing at GWHS. The 10k runs to Cutler park as well but will continue on the path to St. Johns Park on Ben Maddox where they will return to GWHS to complete their course. Packet Pick-up will be at Golden West High School on Friday, May 10th from 3:00 to 7:00 P.M. 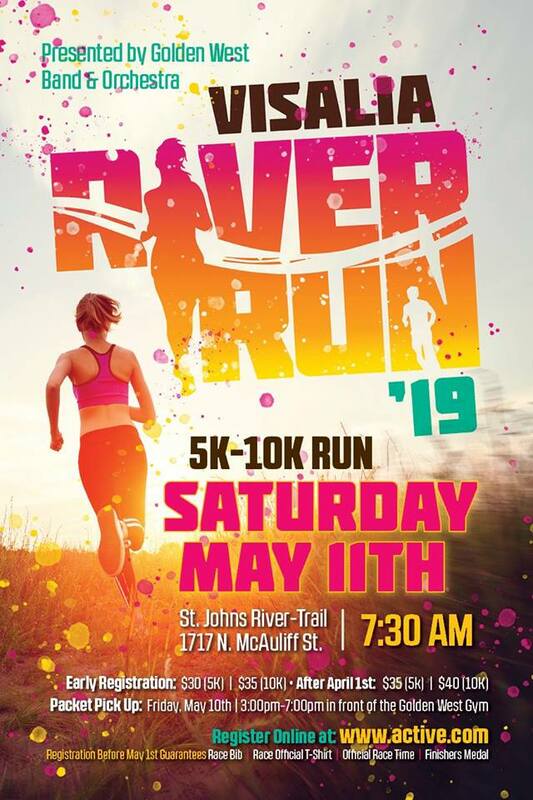 Registration before May 1st guarantess the following: race bib, official VRR athletic t-shirt, official race time and a finishers medal. Course map and other announcements will be made through our facebook page at https://www.facebook.com/VisaliaRiverRun/ Please like and follow our page so that the updates quickly show up in your feed. Race is rain or shine and starts promptly at 7:30 A.M. The event runs from 7:30am to 10:30am on the following dates.